Emu Oil is a powerful natural anti-inflammatory with superior penetrating properties. 100% Natural with no added ingredients – Proven, Safe, Highly Effective. Apply to affected area 2 – 3 times daily. This is the only oil I use on my skin now. 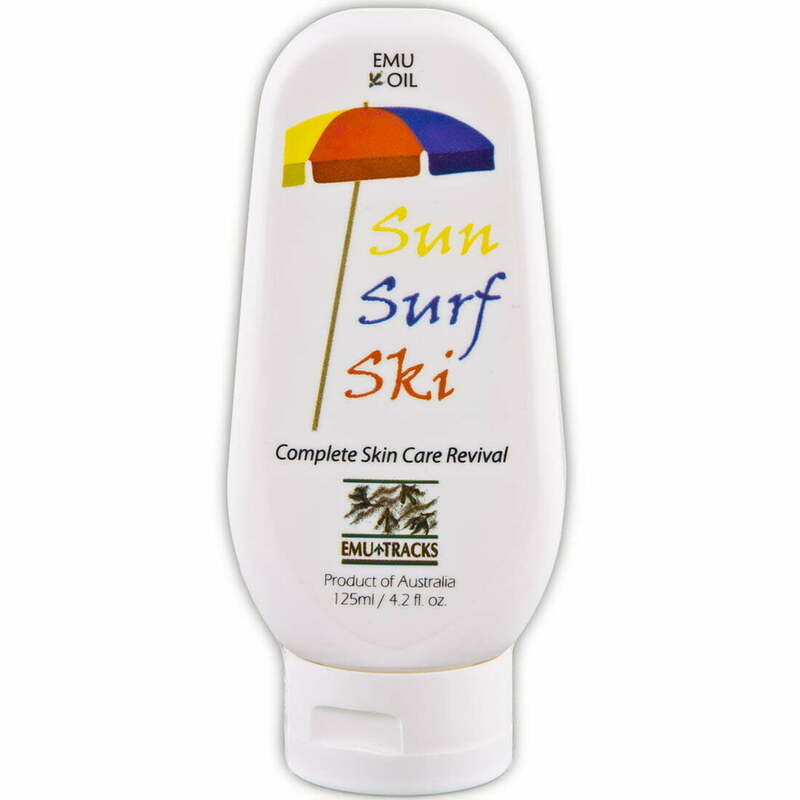 It takes care of dehydration, itching and redness instantly. Will never use anything else. anti inflammatory and Emu oil came up. After rubbing it in morning and night for a month, my shoulder was ok.
so for me this is perfect. I highly recommend to everyone. Pure emu oil helps with my “heavy legs” reducing the pain in muscles and ankles. Used daily, and smoother skin comes as bonus for over 60 Y O.
I first came across the product, when bought small aluminium bottle for I think excessive price from Pharmacy, but it did wanders. I did track down manufacturer and placed an order for 1 litre bottle, as others in my household wanted to share it too. An incredibly versatile and powerful product. Inflammation. pain, dehydrated, scared or aging skin this is my go to fix all -I love it! AND fragrance free so doesnt interfere with my signature scent truly a girls best friend. Finally I found something that works against exéma/psoriasis, this product is easy to use, and it can be delivered tow France, AWESOME ! I have been using Emu Oil after knee replacement surgery and I find it is really good and certainly takes the pain away. I would recommend this product to anyone with joint or muscle pain. 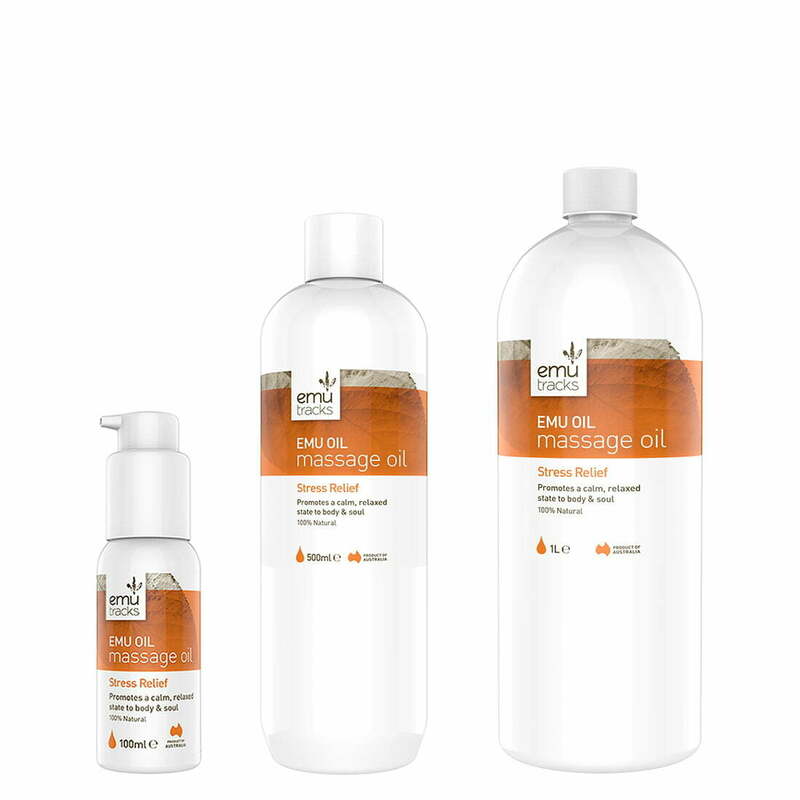 emu tracks Pure Emu Oil – Truely a wonderful, natural product. I began using Emu Tracks emu oil when it was recommend by a friend who swore it relieved arthritic pain in her hands. I’ve been using it ever since on my hands for both arthritis and dry skin. Most recently I’ve been using it on my face, massaging it into and around a bruise sustained from an injury. 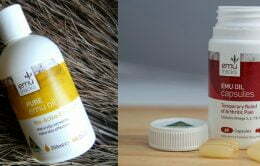 I have been using Emu oil since 2008 for both skin condition and as a local massage oil on sore muscles/joints. Nothing comes close to offering relief from pain and reduction of swelling and my skin feels and looks so much healthier. It is very helpfull indeed! I am from Russia and live in the south, but, at the same time, very close to North Caucaus with its magnificent range – so it is very cold in the south. My Mon has some issues with her knees and she has tried various treatment. I travelled to Australia last November and told my australian friends about her problems. I got the answer as a bottle of pure emu oil from a local farm. I thought: ok – I could bring Emu oil to my Mom and see if it would help her. I went to Perth and shopped for Emu tracks – 25ml. When I got back to Russia it was December and my Mom was in pain. She used Emu tracks every day and felt better. After that I found your webpage and ordered 250 ml Emu oil and pills for her and two smaller bottles for my aunts. Mom felt better. I am ready to by her a new bottle for one liter Emu oil to help her and send warm greetings from Australia. I purchased this a while ago after reading about how hydrating emu oil is for sensitive skin. I love this stuff and use it all over my body and on my face. Have never reacted to it and it really penetrates deep into the epidermis. It’s great for Winter, when my skin needs a little extra. Highly recommend! I love the liniment and emu oil. I sent several bottles of emu oil back to China as gifts, they love it. 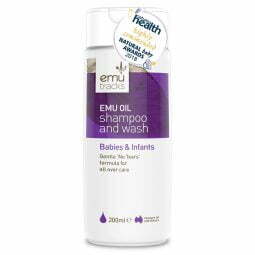 Recently, I heard some feedback from my friends who has a baby, they told me the emu oil is very helpful for baby eczema. they will keep order more from me. Good gift choice, at least the emu can represent Australia. I bought the Emu Oil for my son’s eczema on his ankles and wrists, after 1 month of continuous application every night after his shower, his skin condition has improved tremendously. It’s now smooth and supple. I have finally found the right answer to treat his eczema – Emu Oil!! I have used this oil for shoulder/neck/spine pain relief for over a year now. Beats swallowing chemical medication hands down and just as effective. Need more now. We have been using emu oil for several years and we have proven that it provides great relief for joint pain and muscular aches. It’s really a must to have one at home. I have already introduced this product to my family overseas, and they are asking if I could give them some more. My Dad has a slipped disc and his legs are always in pain and numb, but when the emu oil is massaged through his legs, the pain and numbness eventually ease. A friend recommended this oil to me and I use it every night for muscle and joint pains, it really does help and does its job. Now I’m back to buy more for my mum and relatives. I have been using this oil for a couple of years now and it is one product I use every day. I find it keeps the pain at bay in my shoulders and back. I apply it every day as a body moisturiser, use it on my grandson when he has signs of nappy rash. It is a versatile product which everyone should have in their home. Love it!!! I have two teenagers who are prone to acne. Thanks to Pure Emu Oil! It is the only product that actually works. In just two to three days, you can see the difference. I have multiple problems with both shoulders. This emu oil combined with Muscle & Joint Balm twice a day reduces the pain from 9 / 10 to a liveable level of 3 / 10. Wonderful stuff. Am reordering for myself and two friends who are both keen to “give it a go”. I just love it, I use it as a full body moisturiser. I found it is a brilliant moisturiser. I am 67 years old and it makes my skin the most youthful! Was recommended by a friend who does body massages to try this oil for pain and sore joint relief and I’ve found it works so well! My daughter has tried it on her skin and she finds that her skin is very plump and moisturised the next morning. I’m back to buy another 3 bottles for my friends to try out! I think the product is excellent! I have been using it since last Nov, it has done wonders to my bones (knees). My specialist recommends Emu Tracks pure emu oil for the dry skin on my legs (eczema) and it takes away the itch immediately! Relieves my arthritic pains and when my nephew who suffered from hip joint pain applied the Pure Emu Oil, it gave him great relief and I highly recommend it to anyone. I have acne and redness on my face for about two years. 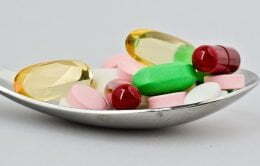 I have tried many ways or treatment to resolve my problem but all don’t work. After using emu oil for coming about 3 months, my face has improved tremendously, redness and acne are reduced. Thank you for this wonderful product! Should have tried it long ago! What an amazing product. Been using it for 6 months now and I suffer from psoriasis. I found it very moisturising and it helped with the itch. Love it and I highly recommend this product. I have suffered from very red and flaking skin for two years. I have tried so many moisturisers but nothing worked for longer than a couple of weeks. I have a problem with every cream I have tried. This moisturiser has softened my lines around my eyes and the redness on my nose is clearing up after only a week. Best results I have ever had. At 56 I don’t expect miracles’ but see one in the mirror! I have been using Emu Oil products for 18 years since 1996 and it has staved off ageing, my skin has minimum wrinkles as a result. I purchased this oil from a health food shop after having read some of the skin care benefits of it and did not use it for a couple of weeks until one night when I remembered I had it a week or so ago on our little Jack Russell who was rapidly losing hair and was itching and licking constantly, suffering from a bad case of mites. He has had lots of injections from the vet, antibiotics, creams etc. and it has all caused him a lot of distress over this past year, well after much researching we changed his diet to mostly raw foods, included avocado oil, cod liver oil, apple cider vinegar and a healthy skin powder I made up with hemp protein and then I remembered the emu oil, (I had previously been applying grapeseed oil for quick absorbency and to relieve his skin condition as much as possible, which did help to soften and moisturize his skin). Now, after only a week and a few days of using the emu oil, we are seeing hair re-growth and a great deal of skin suppleness & smoothness, far less itching and licking and much skin healing. I am quite pleasantly amazed that his hair is now re-growing (we thought he had lost it completely). So it appears, at present, we have found the solution with a raw diet and oils, now I have seen the results for myself I will continue with this treatment and have purchased the ‘vet oil’ from this site and pet shampoo and also more emu oil for us humans along with shampoo & conditioner, I am now also beginning to use it on my face but would have run out (using it on our dog) soon so have ordered more. I am very happy with the results so far with our little Jack Russell (and so is he). Emu Oil is extremely economical due to its spreadable nature and remains effective at low use levels. For this reason, unlike other products, less quantity is required. 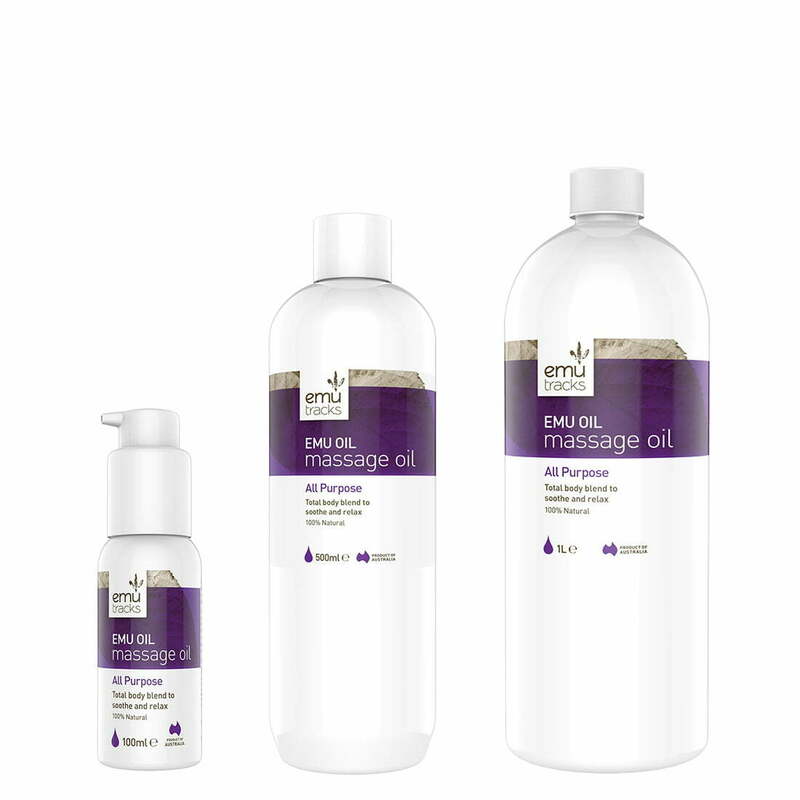 Emu oil has superior penetrating properties that allows the oil to penetrate the stratum corneum barrier (outer layer of skin) therefore providing moisture for repairing and hydrating the skin without leaving the surface greasy. Should it be suggested that the skin remains ‘greasy’, the likelihood is that too much has been used. Emu oil is non-comedogenic meaning it will not clog the pores so the skin is able to breathe. 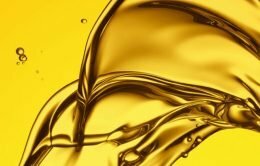 Why are there white grainy particles in my Pure Emu Oil? Alternatively, pour a small amount into the palm of the hand and rub until the thicker component melts. This only takes a moment.